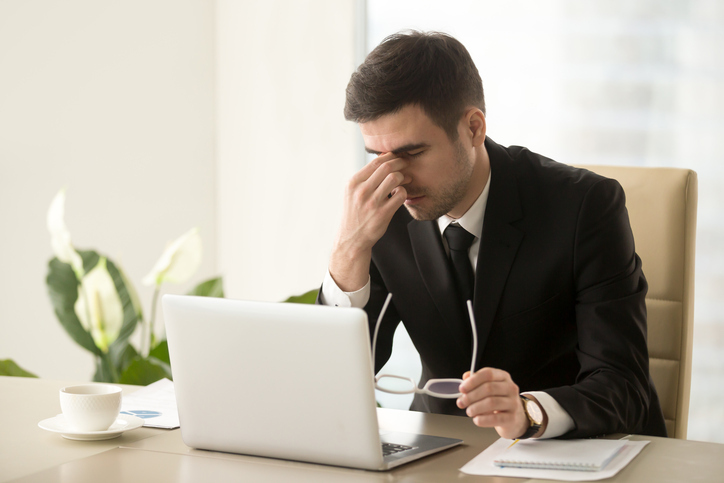 With the amount of time that people spend in front of a screen these days, it’s no surprise that so many patients are suffering from digital eye strain. Many people spend time in front of a computer for work and then go home to watch television or browse the internet. As a result, screen time can be as high as 10 hours a day or more! Even if you don’t spend a lot of time in front of the computer, it is important to understand how your screen time can affect your eyes. Digital eye strain is a problem that is increasing in frequency for people of all ages. If possible, the best solution is to reduce the time you spend looking at a screen. But, some people don’t have the option to reduce screen time since this activity is required for their work. If you need to be at the computer a lot, then you should be deliberate about scheduling time for breaks. Look away from the computer every 20 minutes and rest your eyes. Set a timer if you can’t remember when your eyes need a break. Talk to your optometrist for special glasses that can be prescribed to use when you are sitting at the computer. These glasses have a coating on the lenses that help to block blue light to reduce the strain on your eyes. Additionally, you need to consider the ergonomics of your workstation. Your neck and head should be positioned upright and in alignment. Face the screen straight-on, instead of looking at the screen with your neck turned or tilted. The screen should be at arm’s length distance from your face. Also, it can help to adjust the light in the room. Staring at a screen in the dark can put unneeded stress on the eyes. If you suspect that you are suffering from digital eye strain, then it is important that you talk to an experienced optometrist about your symptoms. Call our Temecula office at (951) 302-1331 or our Murrieta office at (951) 600-9226.